The company was founded in 1962 by Albert Steinmeier in Langenargen near Lake Constance. The company headquarters were relocated to Wangen im Allgäu in 1972 and at the same time the company name was changed to bfz Steinmeier GmbH & Co. KG. 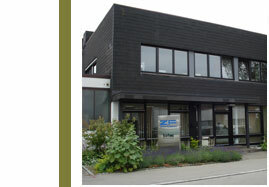 bfz Steinmeier designs, develops and manufactures high quality magnetic switches, security switches, sensors for control units and magnetic sensors with hall elements. All products are exclusively “Made in Germany” and the consumer orientation of bfz Steinmeier is a key feature of the company. With considerable experience and the high technical competence, individual solutions can be adjusted to customer’s requirements and challenges - which is how bfz Steinmeier achieves a maximum of productivity and efficiency.